I have had the opportunity to swap with her several times at Craftster. 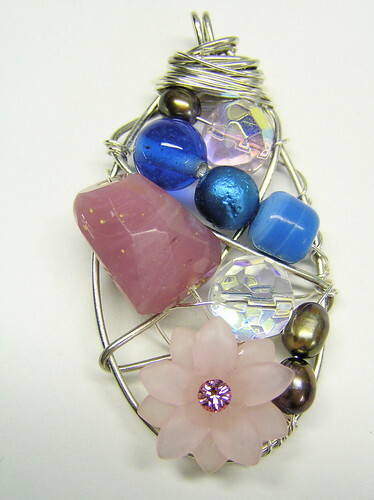 The last time I swapped with her, she sent this utterly beautiful wire wrapped pendant to me. She also has similar pendants for sale at her Etsy shop. 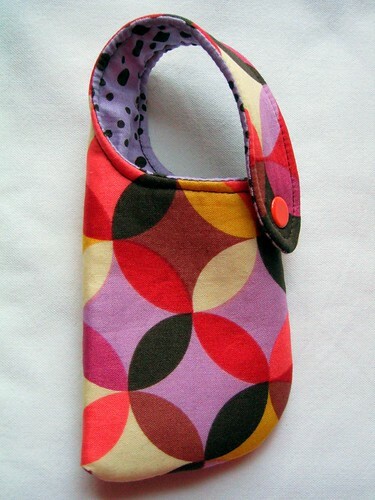 Besides jewelry, she also sews wonderful handbags, pouches and wallets. She uses an array of different fabrics. 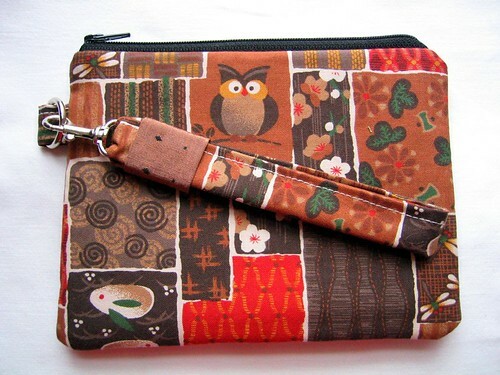 I love the fabric on this wristlet purse! If that’s not enough, she also has these very cool multipurpose holders! They can hold a cell phone, iPod, or small digital camera. Each one is lined with fleece and has a snap closure. This Little Bird is run by Vanessa, who lives in Waterloo, Ontario. She’s been crafting for as long as she can remember. She welcomes custom order and trades!